Welcome back to the Cacique Resort Review in which we offer you a snapshot of our exceptional partner resorts within and around The Bahamas. Birds eye view of skybar. 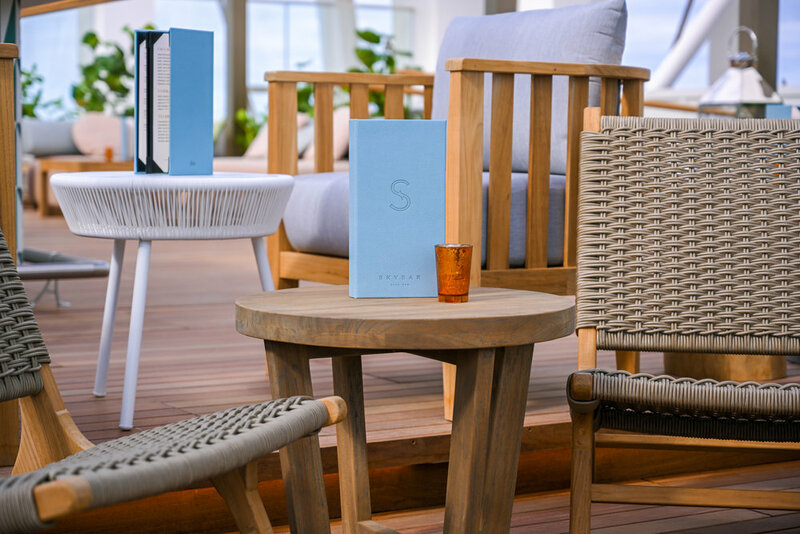 With its unique blend of contemporary design and island charm, Skybar is a masterful crow’s nest for sipping on legendary libations while enjoying the mesmerizing montage of island life far-far below or yet another perfect sunset. From a group standpoint, this chic vantage point makes for a divine, intimate setting. Helmed by the legendary sbe entertainment brand, Skybar’s handcrafted cocktail is packed with fresh, zesty flavours, transmogrified by the trendy mixology team who work diligently behind a central bar brimming with compotes and cordials. This elevated, open air pavilion speaks perfectly to the sbe’s “playful sophistication” with the majority of furnishings unfixed, which makes the space perfectly flexible. Just Imagine the ideas forged of a brainstorm session to the backdrop of a balmy Bahamian sunset. Or celebrating a business feat, life milestone or other occasion, on teak decks well above terra firma… At Cacique we are all about re-imagining meeting and event spaces and through our lens, Skybar ticks many boxes. 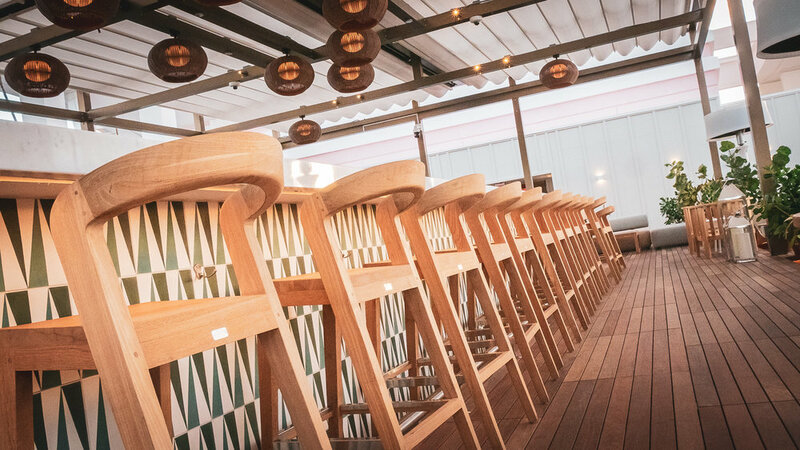 With the potential to host you from dusk to dawn, Skybar can act as a lavish pre or post cursor to indulging at one of the signature restaurants or kicking your heels up at BOND nightclub. As part of an indulgent itinerary, Skybar could top off a day basking in pergolas at Privilege Pool or an inspirational group art experience at The Current. There is no time like the present, especially in the islands of eternal summer. Our temperate climate is felt year-round with the pleasant of times between October and May when the temperatures are in the mid seventies. March is a delightful month with the perfect combination of winter breezes and summer sunshine. SLS at Baha Mar is a short, colorful drive from Nassau’s International Airport (LPIA). LPIA is accessible from varying major airports throughout the US and receives a direct British Airways flight from London Heathrow. The Cacique team will be delighted to greet you upon arrival and get you there in style. Skybar awaits. Poised and ready for you to make the climb to a unique rooftop event. For us at Cacique, the sky is not the limit. We believe they in pushing boundaries - be it art, music, food and alternate spaces. That is why we are always on the look-out for new, breathtaking venues to make these experiences come alive. For enquiries about Skybar or Cacique International, please feel free to contact us.